(TibetanReview.net, May08, 2016) – A belated report caused by China’s clampdown on communication channels and tight restrictions on the local people says a Tibetan mother of five died after she carried out a protest self-immolation near a monastery in Dzoege (Chinese: Ruo’ergai) County of Ngaba (Aba) Prefecture, Sichuan Province, on Mar 23. 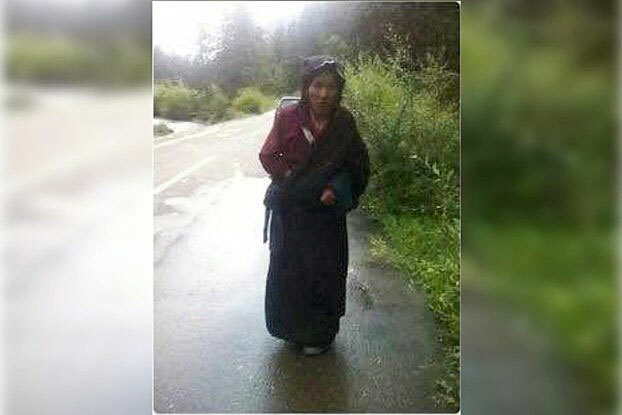 Sonam Tso, believed to be in her 50s, told her husband, Kelsang Gyatso, who was walking with her on the circuit path running around Dzoege’s Sera Monastery, to go keep going while she proceeded to a nearby prayer-wheel room, promising to catch up with him later, said Dharamshala-based Tibetan Centre for Human Rights and Democracy (TCHRD) May 7. However, the woman, who belonged to Dotsa Village in the county’s Akyi Township, then set herself alight. “A young monk heard her call out for the return of the Dalai Lama (Tibet’s exiled spiritual leader) and for freedom for Tibet as she burned,” the Tibetan Service of Radio Free Asia (Washington) Jun 6 quoted a local source as saying. The young monk and Tso’s husband, alerted by the monk’s shout that a self-immolation had taken place, rushed to her and struggled to put out the flames. An elderly monk named Tsultrim, Tso’s uncle, then took her inside the monastery. She was later put in a vehicle to be taken to hospital but died while still in the monastery compound. Following the incident, Chinese police detained Tso’s uncle for eight days for discussing the incident with other people. They forced him to delete the photos he had taken of Tso’s protest. Tso’s husband was also reported to have been called in for questioning three times. Besides her husband, Tso is said to be survived by two sons and three daughters. Tso’s action, which came after nearly a month since a young monk burned himself and died in the province’s Kardze (Ganzi) Prefecture, brings to 145 the number of known such self-immolations across Chinese ruled Tibet since 2009. TCHRD said Sonam Tso had left a message before her self-immolation, but its contents remain unknown.